On your Xiaomi phone, from your contact list of family, friends, clients and co-workers to the list of businesses that they use on a continuous basis, this contact information, as well as text messages can be very valuable for anyone who really needs them to perform a variety of different activities. Then, what if these important contacts and text messages lost or deleted from your Xiaomi phone by accident? You can fully depend on the Coolmuster Xiaomi Data Recovery, which is a professional data recovery program for Xiaomi users to recover not only contacts and text messages, but also call history, photos, videos, music, documents and more from Xiaomi or Redmi Android phones. 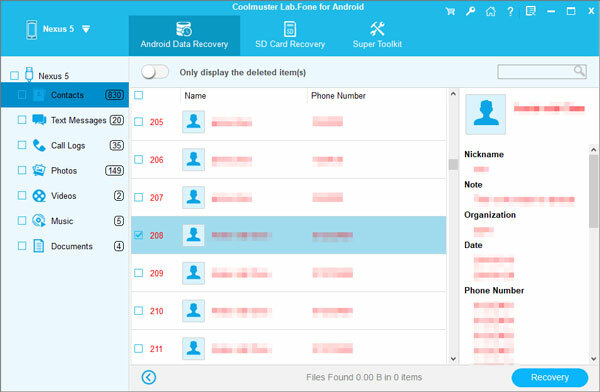 Not only Xiaomi phones, this data recovery tool can also work on other Android phones like Samsung, HTC, LG, Sony, Motorola, ZTE, Huawei, Google Nexus and so forth. How to Retrieve Deleted Contacts & Text Messages from Xiaomi? Launch the Xiaomi Data Recovery software on your computer. Connect your Xiaomi phone with the same computer using a USB cable. The software automatically recognizes your Xiaomi phone. Choose the "Contacts" and "Messages" tabs from the primary interface. Click "Next" button and the program starts to scan your Xiaomi phone to find all lost and exiting contacts and text messages in your Xiaomi phone. Preview the deleted contacts and text messages that are displayed in red color and tick off those you want to recover. 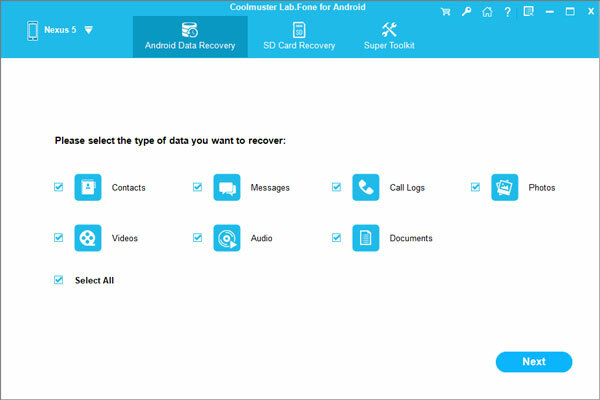 Then, give a click on the "Recover" button on the bottom right to begin the recovery task. You can choose a location on your computer to save the recovered Xiaomi contacts and text messages.